Moscow: Two Russian pranksters say they fooled Elton John into believing that Russian President Vladimir Putin had given him a call. The British star on Tuesday posted a message on Instagram, thanking Putin for calling him to discuss gay rights in Russia and inviting him for a meeting in Moscow. Putin's spokesman Dmitry Peskov denied the reports, saying that Putin never called John. 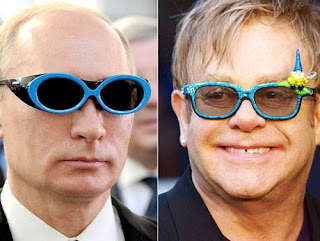 Vladimir "Vovan" Krasnov and Alexei "Lexus" Stolyarov told Russian daily Komsomolskaya Pravda on Wednesday that they had fooled Elton John by calling him on Tuesday and pretending they were Peskov and Putin. The two men, known for prank-calling Russian and Ukrainian celebrities for television shows, said the audio of the call would be broadcast on a prime-time show later Wednesday. 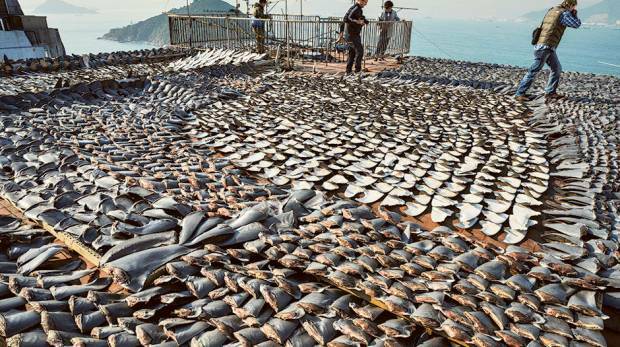 London: Tuna and mackerel populations have suffered a “catastrophic” decline of nearly three-quarters in the last 40 years, according to new research. WWF and the Zoological Society of London found that numbers of the scombridae family of fish, which also includes bonito, fell by 74 per cent between 1970 and 2012, outstripping a decline of 49 per cent for 1,234 ocean species over the same period. Other species suffering major declines include sea cucumbers, a luxury food in Asia, which have fallen 98 per cent in number in the Galapagos and 94 per cent in the Egyptian Red Sea. Populations of endangered leatherback turtles, which can be seen in UK waters, have plummeted. She predicts that all of the world’s coral reefs could be effectively lost by 2050, if current trends are allowed to continue unchecked, and said that evidence of the effects of acidification — which damages tiny marine animals that rely on calcium to make their shells and other organs — could be found from the Antarctic to the US west coast. Chinese fishermen are also increasingly fishing in other waters, expanding their reach. 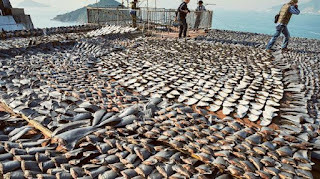 Shark-finning, the practice of removing only the fins from sharks and throwing the bodies back, to make the Asian delicacy shark-fin soup, has taken a severe toll on stocks, with a quarter of shark species predicted to become extinct in only a decade if nothing is done. Overfishing can be managed with better governance — Heaps points to the recovery in North Sea cod stocks as an example of how management can work. She also urged governments to adopt the sustainable development goals, proposed by the United Nations and including provisions for protecting marine life, at the UN General Assembly later this month. Heaps urged people only to eat fish certified as sustainable by the Marine Stewardship Council (MSC), which examines fisheries against a range of criteria to ensure that they are being properly managed. An increasing number of fisheries have been accredited by the MSC, and at present about half of global white fish stocks are certified, including many in the North Sea. She called for more partnerships between private sector fishing fleets and governments, in order to conserve stocks. “We need to keep [fishermen] on board, because they must see that good governance is in their interests,” she said. 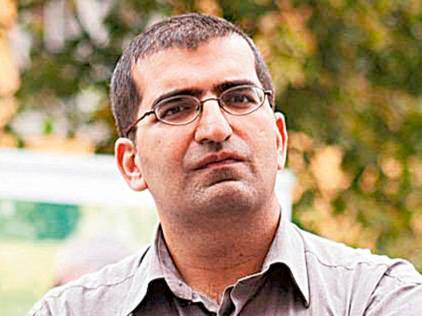 OSLO: A Muslim environmentalist originally from Pakistan could become Oslo’s next mayor after his party became kingmaker in the Norwegian capital following local elections. After winning five seats in Oslo city council in Monday’s election, the green party MDG holds the balance of power and says it will insist its candidate, Shoaib Sultan, be given the position of mayor in upcoming negotiations with the other parties. “He would be a wonderful mayor for all of Oslo, he would be the most representative mayor the people of Oslo have ever known,” MDG party leader Rasmus Hansson, told NRK radio on Tuesday. “The issues will be what is most important for us,” said Hansson, hinting that the party could be swayed to give up the mayor’s post if it wins concessions on policy issues in exchange. Picture taken on November 21, 2014 in Ouagadougou, shows Interim President of Burkina Faso Michel Kafando (R) and Prime Minister Lt. Col. Isaac Zida (L) listening during Kafando's inauguration ceremony. 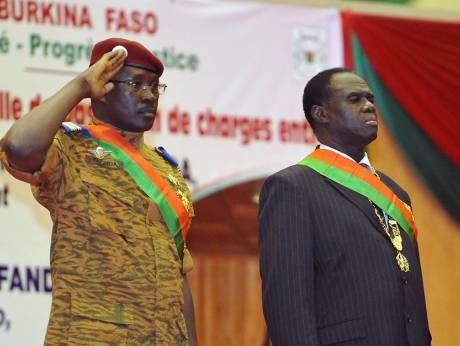 The presidential guard in Burkina Faso have detained on September 16, 2015 Burkina Faso president Michel Kafandon and Prime Minister Isaac Zida. Ouagadougou, Burkina Faso: Soldiers arrested Burkina Faso's transitional president and prime minister Wednesday, raising fears of a coup just weeks before the country was to hold an election to replace its longtime leader who was ousted in a popular uprising late last year. Members of the presidential security unit barred the transitional leaders from leaving on Wednesday, and were seen putting up barricades around the presidential palace. Moumina Cheriff Sy, the speaker of the transitional parliament, called Wednesday's developments "a blow to the republic and its institutions." "I call on all patriots to gather to defend the motherland," he added, calling on members of parliament to protest. News of the standoff Wednesday created panic in Burkina Faso's capital of Ouagadougou, where people closed shops early and headed home fearing violent demonstrations. The protests that led to President Blaise Compaore's ouster escalated to a point where the parliament building was set ablaze. Interim President Michel Kafando and Prime Minister Lt. Col. Yacouba Isaac Zida had been tasked with organizing the Oct. 11 presidential election, which many hoped would strengthen the country's democracy after the 27-year rule of Compaore. But there have been tensions over the vote because members of Compaore's party have been declared ineligible. Anyone who supported the ex-president's bid to amend the constitution so he could seek another term is also banned from running. Another chief source of tension has been an ongoing dispute between the transitional officials and the country's elite Presidential Security Regiment, who were behind Wednesday's standoff. The 1,300-strong group set up in 1996 by Compaore had previously called for the resignation of the interim prime minister, who is a former second-in-command of the unit. The prime minister initially had threatened to disband the group back in December but later reversed course. Then on Monday, a truth and reconciliation commission released a report calling for the disbanding of the unit. Human rights groups have accused the regiment of opening fire on unarmed demonstrators last October, when massive protests forced Compaore to resign. Burkina Faso's military initially had picked Zida to lead the country when it swooped in and took control in the power vacuum after Compaore's resignation. The international community urged the military to swiftly hand back power or face crippling economic sanctions. Kafando, a former ambassador to the U.N., was then chosen as transitional president, and he tapped Zida to serve as prime minister.